The methodology of hand-to-hand fighting according to the Kadochnikov Systema is based on extensive military experience of our country. It includes mathematical designing of hand-to-hand combat and knowledge of the laws of mechanics. During the course our disciples reproduce the exact movements with following adjustment. There are no stereotypes in our Systema. The methodology of the Kadjchnikov Systema is fundamentally different from all others. It is simple and accessible for understanding. The blows delivered by the opponent are met in the same plane and in a mild manner. To do this you should twist your arm or weapon making a step with a semistep and breathing out at the same time. We are always ready to fight back and often use the inertia of the opponent adding the acceleration to it. We shift the center of gravity so that the opponent can’t oppose this. One more principle of the Systema teaches not to fight fire with fire but to feel the distance and control the opponent. You should keep the contact in the starting point as a center of the axis of the rotation of the weapon or the opponent himself. It allows taking control over the enemy using not strength but the leverage. It is easy to work using only quarter of your physical abilities. This is our main task. 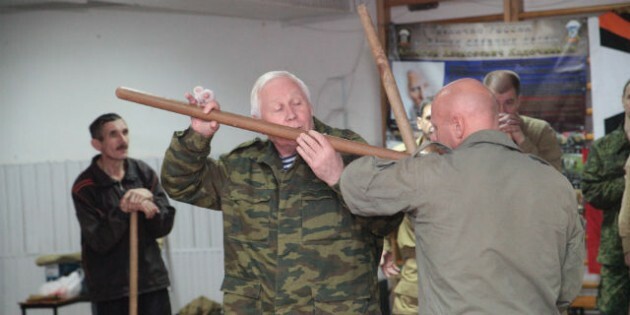 The other trump of the Kadochnikov Systema is short period during which we prepare a fighter. Moreover he can effectively work at any age, in any state of health, and with several opponents simultaneously. The Systema allows to work using only quarter of one’s abilities. That’s why having enough energy the fighter can assess the situation and solve the same problem using half as much energy. What are the advantages of the Kadochnikov Systema? What are the advantages of this hand-to-hand combat style over the sambo and other so popular nowadays eastern martial arts? The Kadochnikov Systema allows the wounded, exhausted people to overcome the opponent using everything they have at hand or even barehanded. This style allows saving energy for a long time; this is especially important for pilots whose aircrafts were shot down on theterritory of the enemy and they need to get home. 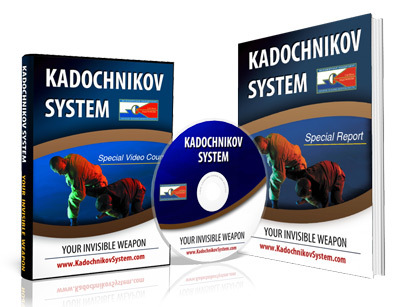 The Kadochnikov Systema is easy and accessible for studying. It uses the laws of mechanics that everyone knows from the school. This Systema doesn’t require long systematic training to learn the exercises by heart unlike the others martial arts. During the fight the Kadochnikov Systema allows a man to apply holds and build the strategy of defence himself according to the position of the opponent his physical and psychological state and also some external factors such as the type of the ground, weather conditions, landscape and so on. The main principle of the Kadochnikov Systema is not to use strength against the strength of the enemy but to direct it into the necessary direction. You will make your opponent put himself out of action. This is not a sport; this is a fight till defeat. The result of smart work is a trauma or death of the enemy. And this is not brutality. It is necessary to survive. This is the rule of survival in the battlefield. Kill or be killed. What will you gain from following the Kadochnikov Systema? You’ll master the martial arts. But that’s not all. The genuine specialist of the Kadochnikov Systema has many others additional qualities: this is a person of high moral standards, the keeper of the ancestor’s traditions, with strong spirit, always ready to sacrifice his life for the Creed and the native land. You will masterly handle your body. Our methodology has no analogs in the world. It is based on the achievements of our scientists and academics like A. Anohin and N. Bernstein. It also underwent the research that lasted for a long time and studied the use of the Systema in different extreme cases. You will learn how to use only 25% of your strength in any kind of the fight not losing in the effectiveness and quality. You can easily guess that with such low power inputs you can work much longer that any of your opponents. You will obtain skills of hand-to-hand combat available only for elite specialists. You will learn how to minimize the force influence despite the strength and speed of your enemy. You will be taught to control the opponent in different situations using psycobiomechanical modeling. You can effectively use this technique of hand-to-hand combat in situations and weather conditions: when it is day or night; heat, frost or rainy day; slippery ground or sand; in the forest, cramped lift cabin, an aircraft or a car. You’ll get the rare skill to act rightly and efficiently in any situation; to analyze difficult circumstances and make quick decisions. You will acquire mental and spiritual stability in order to be rightful working and using your skills and abilities. A general question – if the system is so easy to teach and learn why was it reserved for special units only? Thanks, Martyn. Because it is so simple and effective 🙂 You normally don`t have a lot of time to prepare warriors.